Wash spinach properly & chopped & blanched .don't throw away water. make a smooth paste using a blender.keep it aside. Heat a pan add oil then add onion powder ,garlic powder saute on low heat.add oats flour saute properly.add milk stir continuously as it there should be no lump. Once milk boil then add pureed spinach stir properly.add salt,pepper. Add spinach blanched water.as per consistency u prefer. Serve in a bowl/ Cup adding dash of cream (optional). 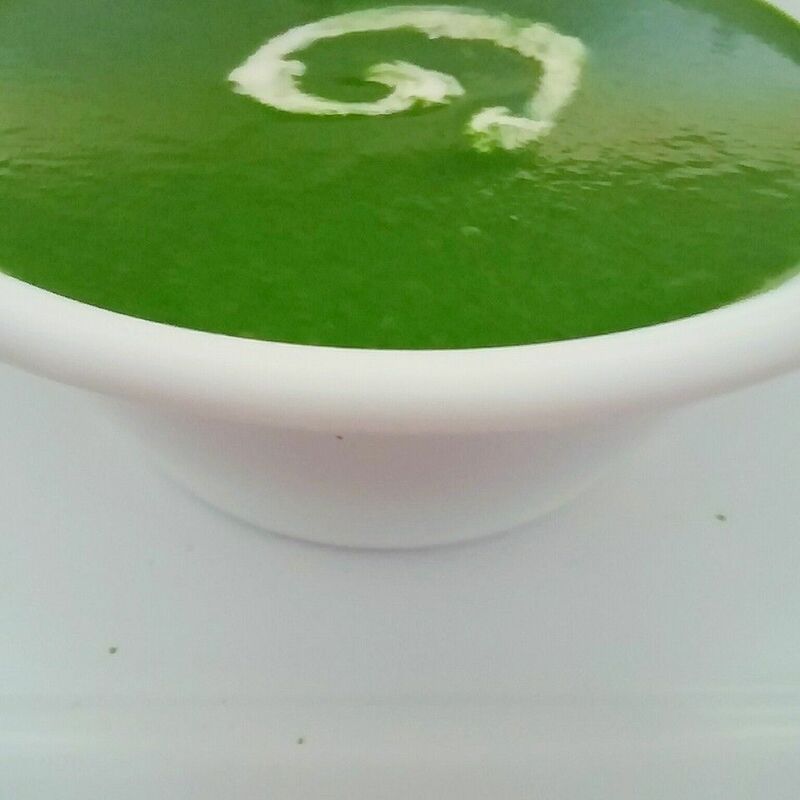 Cream of Spinach soup is ready to serve. Instead of onion & Garlic powder.one can use fresh one too.